There are certainly a number of ways to approach a date with someone you’ve only chatted with on Tinder. After swiping right, you have to figure out your shared interests and pick a place to meet. What’s going on in their photos? Are they drinking at a bar? Are they kayaking? And there’s a chance you don’t know a single thing about them but the shape of their gorgeous eyes. You could go the relaxed and casual route or step it up a notch and take your newest love interest to a fancy restaurant. You may choose to hit the trail or even just meet up late night for some drinks. If you’re in Atlanta, the options are nearly limitless on potential date night activities. So, you’re not quite ready to Netflix and chill, but you want your new friend to know you’re not high maintenance. This calls for an afternoon get-together. Meet them at Piedmont Park and bring a blanket. All of the people and dog watching will give you something to talk about if you’re not connecting on a deeper level. If you are, lay that blanket down and enjoy each other’s company on the grassy hill. You could even bring a Frisbee or football along to help release some of that tension that comes along with meeting someone new. If you’re getting along well, head to Park Tavern. This bar is perfect for a date because they serve such a variety of dishes (sandwiches, wings, dips, tacos, sushi, etc. ), so you won’t have to necessarily agree on what you’re in the mood to eat. 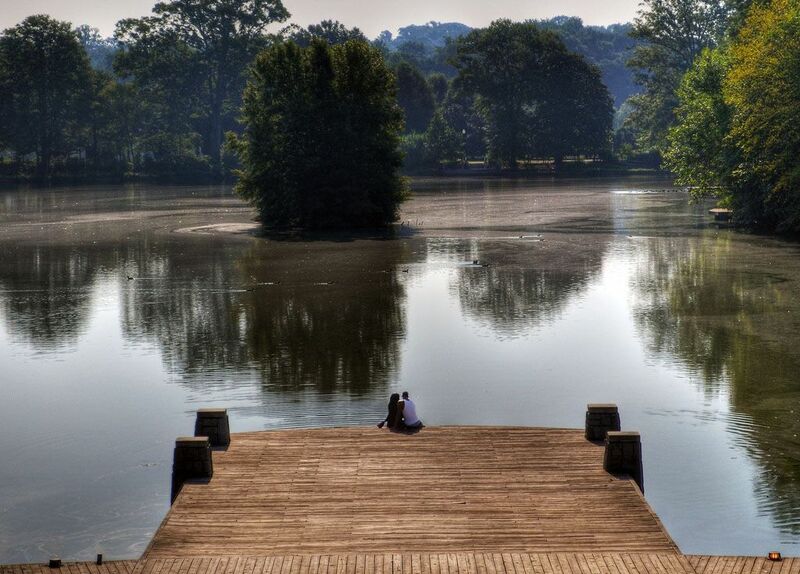 It’s also conveniently located at Piedmont Park, so no need to worry about getting into a stranger’s car. 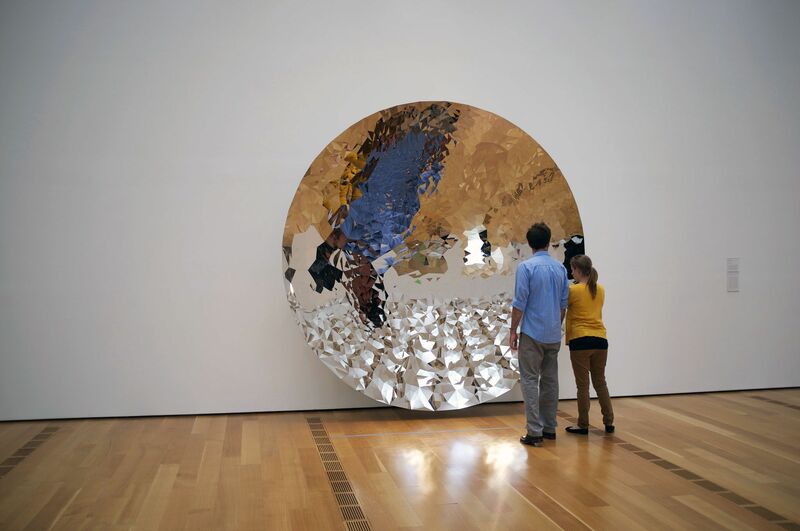 Taking your date to the High Museum of Art might be a good way to see if you’ve got similar tastes. Museums are great for dates because there’s always something to stare at when you don’t know what to say. If you’re looking for a free art viewing, take a walk along the Beltline in Cabbagetown and see how the conversation flows as you look at all of the beautiful murals. Along the same lines, the Botanical Gardens are perfect for strolling around as your new love grows. If you’ve enjoyed each other’s company, head to Buckhead and grab drinks at the St. Regis Hotel. By now, you’re both hungry — there’s a delightful South African restaurant called Yebo Beach Haus nearby. The dishes are perfect for sharing and your date will be super impressed with the unique culinary cultural experience. Maybe you’re looking for something more active to do with your Tinder friend. Meet them at the REI Boat House at Stone Mountain and rent some kayaks or stand-up paddleboards for a few hours. 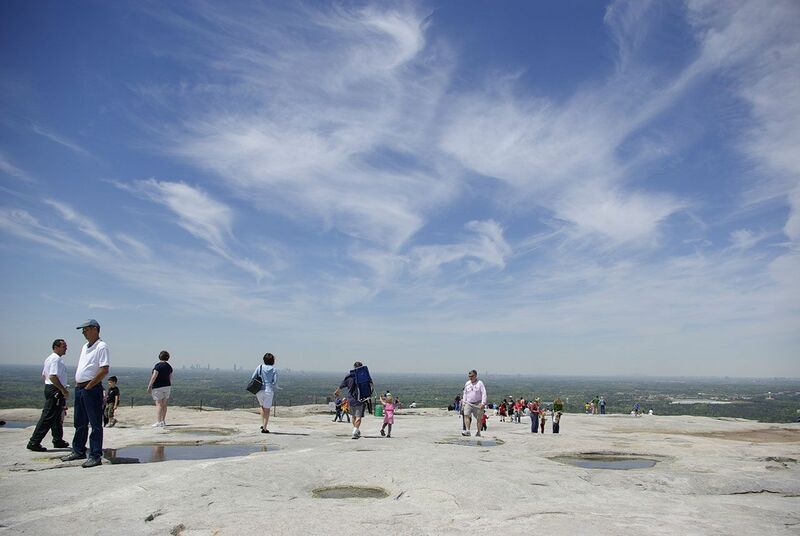 If things go well, hike to the top of Stone Mountain and watch the sunset over the city skyline. Or you could ditch the paddles and just go tubing down the Chattahoochee River, too. If you’re trying to stay a little closer to the city, head to the Doll’s Head Trail at Constitution Lakes Park off of Moreland Avenue. This slightly creepy trail may lead to a little hand holding and will definitely give you lots to chat about as you walk through the woods decorated with art made from beheaded dolls and other old toys. Atlanta has plenty of trendy markets to explore if you’re looking for some place that gives you options. Check out Krog Street Market. You and your date can divide the offerings of the restaurants to get a taste of everything. Definitely grab a bao from Suzy Sui’s and a cup full of delicious fries from Fred’s Meat & Bread. There’s also a huge beer selection from Hop City to loosen you up a bit. Ponce City Market will give the two of you even more options. Start your date with a King of Pops popsicle as you explore the shops. If you’re hungry for a meal, grab two of the famous Holeman and Finch burgers (people once stood in line for ages, hoping to score one of these bad boys and now, the coveted burgers are available all the time at this market). Then, take your date up to Skyline Park for one of the best views of the cityscape. Show off your playful side with a round of mini-golf and then hit the beer garden to relax and chat. The Sweet Auburn Curb Market downtown is another spot that gives you and your date plenty of options. Stop in Miss D’s Pralines for some of her, quote, “highly addictive” popcorn to snack on as you explore. Take your pick of burritos, sushi, seafood or burgers from some of Atlanta’s best restaurants. 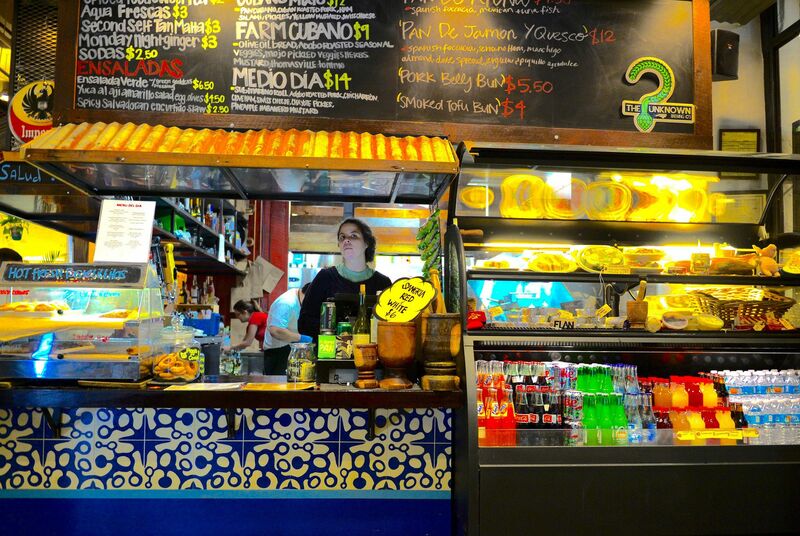 You can’t go wrong with burgers from Grindhouse or a Venezualan arepa from Arepa Mia. You’re sure to get a good idea of whether or not your tastes align with so many things to look at and choose from at these markets. There are lots of good burger places and breweries around Atlanta. Take your date to Grindhouse Killer Burgers in Decatur for dinner and then walk over to Twain’s Brewpub and Billiards . Twain’s brews their own beer and there are plenty of bar games to play with your date. Challenge them to a game of pool or darts. If you’re not having fun with just your date, you can always befriend people at the bar and play a game of shuffleboard. You could also go to Yeah! Burger in West Midtown before checking out Monday Night Brewing . This will make for a cheap date and you’ll definitely be feeling loose after sampling six beers for twelve bucks. So, let’s just say things have gone swimmingly. You can truly impress your date by finishing the night off at a bar that’s only accessible by secret password. 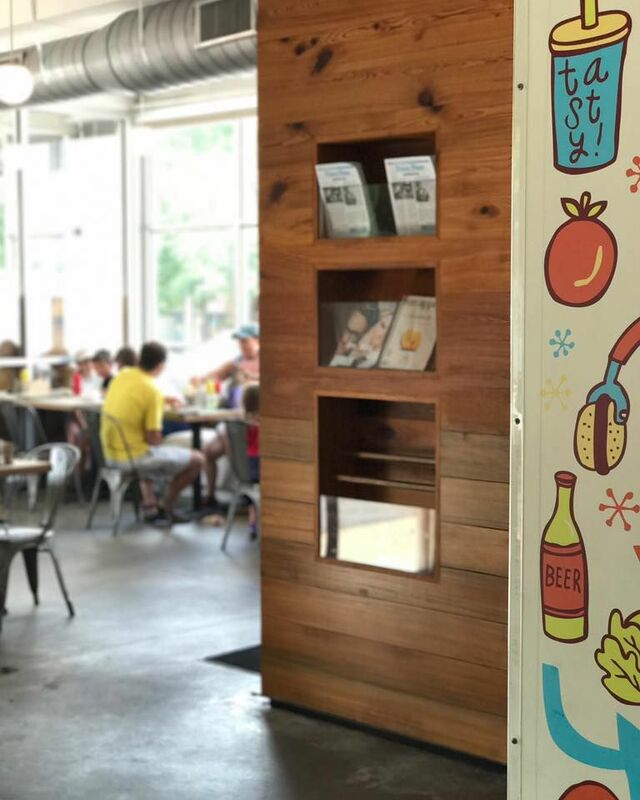 Follow City Winery on social media for their secret code word to get into the Ponce City Market club (unmarked door to the left of Binders art supplies). 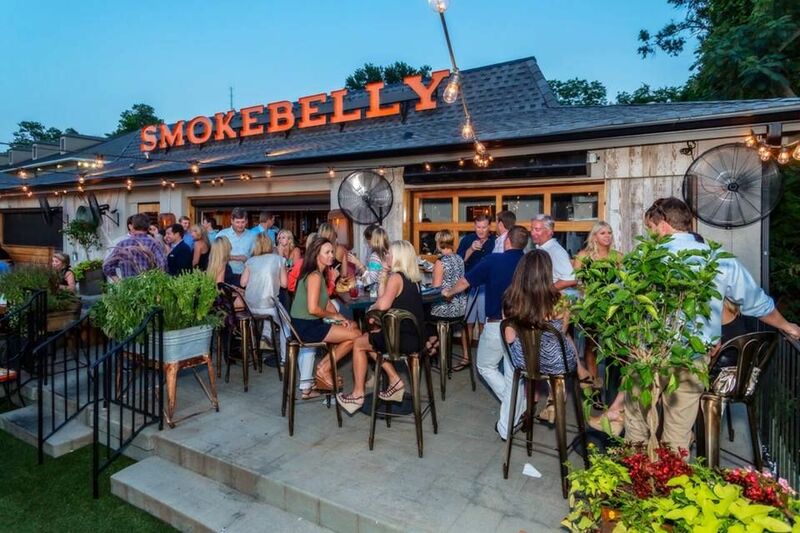 If you’re closer to Buckhead, walk into Smokebelly BBQ and ask the bartender or host for the password to get into The Blind Pig Parlour Bar . Once you’ve got it, head around to the back of the restaurant to the black door with a pig above it and ring the doorbell. Your dates jaw is sure to drop when you get into the 1920’s style speakeasy. There are lots of other spots like these, including the Red Phone Booth (secret code number that changes daily, but you have to know a member to get it), The Bureau (through the kitchen of KR Steakbarin Buckhead), and Brigantine Beer Parlour (Wednesday through Saturday in the back of Argosy in East Atlanta).